Hello to everyone I met at today's Learning & Skills Group conferencette. I hope you'll get time to take my social connecting / web 2.0 survey (top right-hand corner of my blog). And especially to Jane Hart. Jane, I hope you're not too shattered now after your two sessions on learning tools. 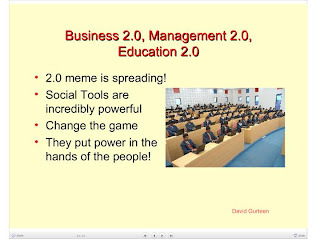 I've already posted a series of updates on social networking and web 2.0, as well as enterprise 2.0, management 2.0 and knowledge management 2.0. 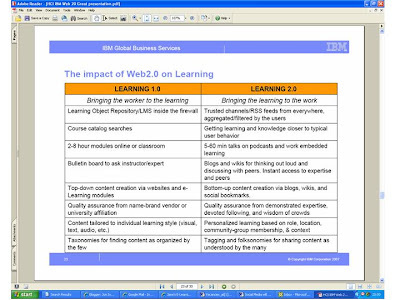 “Learning 2.0 (or E-Learning 2.0) is a second phase of (E-)Learning based on Web 2.0 and emerging trends in learning e.g. informal learning, self-managed learning and performance support. The traditional model of Learning (which might be termed Learning 1.0) focused on content produced by experts (teachers, instructors, etc), and structured into courses, to be consumed by users/learners. “Another label for KM 2.0 might be “Social KM”. 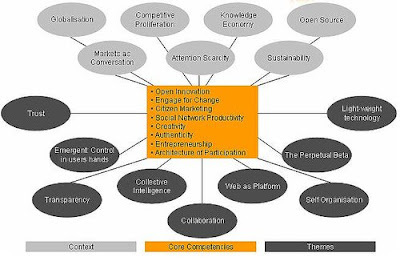 It is an emerging social model of KM. To my mind it is a very powerful model as it clearly places responsibility for knowledge sharing and making knowledge productive in the hands of the individual. And so in the world of KM 2.0 we have two categories of social tool – soft-tools such as after action reviews and knowledge cafes and techno-tools such as wikis and blogs – an incredibly powerful combination. So if the central question asked by managers in the KM 1.0 world was “How do we make people share?” the question of the KM 2.0 era is “How do we better share, learn and work together?” And is asked by everyone! Again, very much linked to my other comments on enterprise 2.0 and management 2.0. 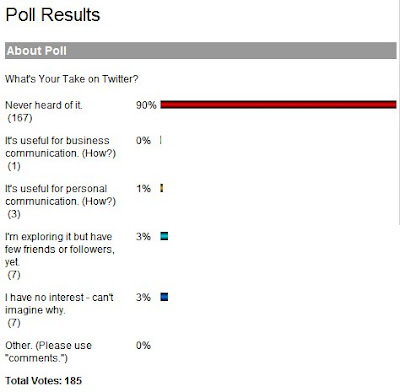 Note, the picture for this post is taken from Gurteen's presentation, 'KM goes Social', available on Slideshare. The term was introduced by Harvard professor, Andy McAfee in a Sloan Management Review article, Enterprise 2.0: The Dawn of Emergent Collaboration. McAfee uses the term slightly differently to me – to “focus on those platforms that companies can buy or build in order to make visible the practices and outputs of their knowledge workers”. I am much more concerned with the outputs of these technologies, the changes in the business itself than the blogs, wikis, group messaging software etc that enable these changes. In fact, I would prefer the term ‘social enterprise’ which emphasises the nature of the organisation (which can be developed through real or virtual tools and activities) if this wasn’t more commonly used to refer to organisations with a social purpose rather than a social way of operating. “What he's [McAfee] trying to do is to bring Web 2.0 technologies into the enterprise, to understand and describe how blogs, wikis, tagging, and other participative tools will change large bureaucracies. He believes they will empower employees, decentralize decisions, free up knowledge, and generally make for better places to work. I share his goal of more democratic organizations and hope he is correct. Agreed. But 2.0 web technology does seem to be an important enabler. The extension of the 2.0 tag from the web to the enterprise has further led to the placement of 2.0 after just about any other business term you might care to think of. Often this is done to refer to a ‘social’ way of operating, but sometimes, rather unfortunately, it’s just used to try to infer a more innovative way of doing things - even more so if something is labeled 3.0 (see ReadWriteWeb's discussion of web 3.0 as a marketing ploy). I think three of the most sensible extensions are management 2.0, knowledge 2.0 and learning 2.0. And I will look briefly on these in my next three posts. 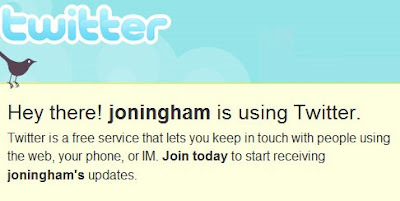 Well, only six months ago, I said I could never see myself doing it, but I'm now on Twitter. For those of you who don't know what this is, France Roche at KnowHR has a good post / video link that explains it well. Well, one recent trigger has been Debbie Weil's recent blog posts on Twitter. And more broadly, it's the fact that a few other HR bloggers are now joining: see for example, one of Gautam Ghosh's recent posts. And my interest was also raised in a recent show of the Podcast Sisters. My previous reservation was mainly to do with my blog posts being rather long and so not being able to see how 'micro blogging' would work. Actually, I think the term is wrong. To me, this isn't a form of blogging (which would fall in the category of web 2.0 using the categorisation I described in my last post) but of social networking itself (people-to-people vs people-to-content. It puts me in direct contact with other people, not really just their content. And seen in this way, it has huge potential value to me. Although these terms are often used imprecisely and interchangeably (with each other, and with other terms such as social media and social software), I believe 'social networking' and 'web 2.0' do refer to different things. other web 2.0 applications focus on connecting people with the content that has been generated by other people. So the points in my previous post about connecting apply in particular to social networking. In many ways, social networking is only a technology enabled way of doing what good networkers have always done, but this can now be done by many more people, and on a much broader scale. This post refers to my new survey on HR 2.0. I don’t want to influence anyone’s answers to this, either one way or the other. So you may want to take this survey before continuing to read on. The survey is available at: http://www.surveymonkey.com/s.aspx?sm=Pr2WYysTiyb3DM6a8mW7WA_3d_3d. Referring to the CIPD’s current research, the elearning network define web 2.0 as ‘the second generation of web-based 'social and sociable' technologies that gives people more voice in matters that affect them, encourage conversations, interpersonal networking, personalisation and individualism’. The term ‘web 2.0’ was introduced by Tim O’Reilly at an internet conference in 2004, in reference to data, voice and video applications that use the ‘internet as a platform’, enabling non-technical people to easily build their own programs with user friendly interfaces. It is the fact that web 2.0 allows lots of people to easily use the web to communicate and to share information with many other people in real-time that leads to another definition of web 2.0 as the ‘participatory web’. So, whereas the first boom in internet usage (what has now become known as web 1.0) was about broadcasting information, web 2.0 is about collaborating, participating and exchanging information between people. There may be truth in the point that this is what the web was supposed to be about all along (and some internet sites have encouraged it for a long time, for example users have been able to write book reviews in Amazon.com since1995). However, web 2.0 put interactions rather than transactions at its very heart. In fact, to me, web 2.0 is about these interactions, not the technology that supports them. 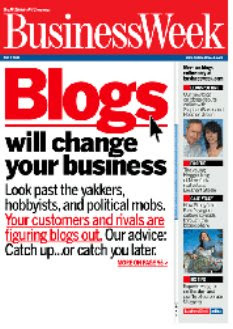 Google’s Blogger may be a web 2.0 application, but it is my blog: my posts and your comments, which are at the heart of much of my experience of web 2.0. And in fact, although web 2.0 may have been defined as ‘internet as a platform’ in 2004, at the second conference a year later, its meaning had already changed to refer to the new ways of working this technology was enabling. To me, the fundamental focus of web 2.0 is about connecting, which then enables empowerment, collaboration, collective intelligence, organisational democracy and all the other benefits that are often seen to result from the technology. So to understand the importance of web 2.0, we need to understand the process and benefits that organisations see in connecting, not just how they are using the technology. 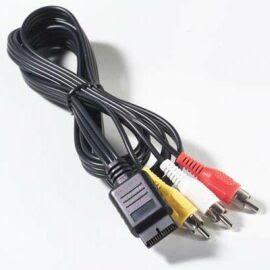 And we need to remember that connecting can be done in the real as well as the virtual world. These are a couple of my beliefs about web 2.0 which underpin my current survey. The elearning network are running a survey on organisations' use of social networking / web 2.0 initiatives, on behalf of the CIPD. I think this is a great initative and I look forward to hearing about the results of the survey at the CIPD's HR Software Show in June. However, I do think they've missed a trick by approaching this from the viewpoint of the initiatives and the technology. After all, we all know that the technology behind e-learning doesn't matter; it's how this is used as part of a blended solution to achieve certain learning and business outcomes that counts. So what are we really trying to do with social networking and web 2.0? I think if we could answer this, we'd be in a much better place to predict the impact of the technology. Here's my perspective: it's about connecting. Connecting with other people both inside and outside of the organisation to increase human and particularly social capital (capability, engagement and useful relationships). Another thing we all know is that the point of performance in most organisations is no longer the individual, it's the team. So human capital is no longer the only thing that counts. It's the combined social capital from people working together that's increasingly going to make a difference to organisational success. However, I don't believe many corporates have got this message yet. I think the value of connecting is well understood by independents like me, and by a lot of individual employees too. But I don't think many business leaders, or HR people, are thinking like this yet. So I've also written a survey to find out. Please, please, please, take this now! * It will mean a lot to me, and I think your insight together with everyone else's will add a lot of really helpful clarity to this important area. It is a slightly longer survey than the elearning network's and I apologise for that, but it's only 16 questions, so it should only take you 5 minutes to complete. I'll publish the results in my blogs in a few months time, but if you include your email address in the survey, I'll send you the results. And look out for some interesting posts on web 2.0 coming up too. * The survey is designed for practitioners, but I'd still encourage others to complete it as long as you answer from the context of one particular organisation that you know. (HR 2.0 logo created at http://h-master.net/web2.0/). In his KnowHR blog, Frank Roche suggests that organisations may need to develop a dual system for performance management, with one version for high performers and another for everyone else. "Great performers don’t need performance reviews. Especially the yucky and typical kind. They have a great distaste for ratings that can’t adequately capture what it means to be up at two in the morning working on a project while the rest of the company sleeps. On top of that, they really resent getting a rating that’s anywhere near what Joe Average gets." 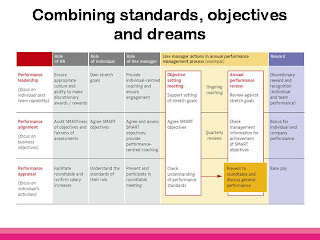 The slide presents a 3 level approach for performance management we introduced in my last corporate role - based on standards (performance appraisal), SMART objectives (performance alignment) and what we called stretch goals (performance leadership) and I'm now referring to as MUSICal dreams (although 'd suggest keeping the earlier term for use within an organisation!). The approach in the slide suggests that all employees can be set all three levels of goal. But I also think that organisations may want to focus on one or more level according to the employee's performance. Low performers need to be focused on the standards for their role. Higher performers need to focus on their dreams. For me, the key to answering Frank's concerns isn't how high performers are reviewed, it's the type of goals they are set. If' they're freed up from the organisational mechanics to focus on their dreams, their performance is going to be even higher, and the review of this is going to be much more pleasant for all concerned. 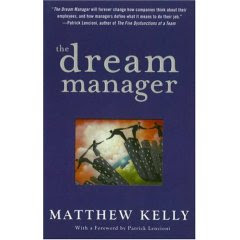 Although I think Matthew Kelly's book, The Dream Manager, provides a very powerful case for helping employees explore their dreams, his book promotes a rather different role for dreams at work to me. I think the power of dreams will be felt when individual dreams and someone's role at work are aligned, hence my proposal that they are discussed as part of performance management. "This will win the respect of your employees on a level that most employers would never even dream of. People will see [the company] as a place where dreams can be accomplished, a place where they won't get stuck forever. People who want to achieve their dreams will want to come and work here. So we will keep attracting the right type of people. People who are hungry and willing to work hard to achieve their dreams." - This would still be a great benefit to offer of course. My own presentation at the HR Strategies conference focused on moving beyond standards and SMART objectives in performance management to helping people express their dreams. I think we need to do this if we're going to move beyond gaining compliance to really harnessing our people's commitment towards helping our organisations succeed. The more we can capture what’s important to our people, and align what they really, really want to do, and what their organisation is giving them the opportunity to do, the more engaged they’re going to be, and the higher the contribution they’re going to make. I got some of these ideas from an excellent book, Dream Manager by Matthew Kelly (hat tip to the Cranky Middle Manager). "I think we've forgotten that people are people. At Wal-Mart they call them 'associates', at McDonald's they call them 'crew members', at Starbucks they are 'partners,' at Disney they call them 'cast members,' here we call them 'team members,' and at most places they just get called 'employees' or 'staff.' But in all of this, we've forgotten that first and foremost they're people. What sets people apart? People are unique in that they have the ability to imagine a more abundant future, to hope for that future, and to take proactive steps to create that future. This is the process of proactive dreaming. Isn't that the story of all great individuals, families, teams, corporations, and nations?" In many ways, we are our dreams. But people stop dreaming because they get caught up in the hustle and bustle of surviving. And once we stop dreaming, we start to lead lives of quiet desperation, and little by little the passion and energy begin to disappear from our lives." Unlike SMART objectives, dreams need to come from the individual themselves, based upon their own skills, experiences, interests and motivations, rather than as some sort of generic human resource. And rather than building incremental improvements on the current state, theses goals are focused on what might be possible in the future. Yes, many organisations already give people stretch goals, and ask people for their participation in setting them – these aren’t always just imposed from the top of the organisation. But the focus in dreams is totally different – it’s on the person first and the stretch isn’t just an extension on their goals, but comes from a totally different way of setting them. Of course, the dreams that are selected to be included in performance management need to be beneficial for the organisation too. But they're primarily about the individual, as an individual, and what they might be able to do, that would support the organisation, if they were to achieve their dreams. Dream goals are not SMART. They can’t be as it is impossible to know the extent of the transformation that a particular person might achieve, but they can be directional (for example bus using the verbs ‘improve’ or ‘maximise’), or set within a broad range. Alternatively they can be qualitative and deliberately ambiguous. So, instead of SMART, I suggest an alternative acronym: MUSIC (see my previous post on this). At the conference, I was asked whether this approach is realistic in a hierarchical society like the UAE. I think it is, in fact I think it is critical as well. 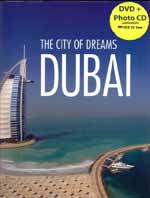 Agrabah may be the original 'city of dreams', but Dubai is where dreams are being made into reality. But no matter how successful the city's development has been to date, it surely can't go on expanding at its present rate unless it maximises the potential contribution of all of its people, local and expat. It will only be able to live its own dreams if it helps its people meet their dreams too. The other main challenge was that people don't know how to dream. I think this is tragic if it's true - and will certainly lead to Kelly's life of quiet desperation. But actually, I don't think it is true. I believe everyone can dream, and its a skill that can easily become a habit. This is why I wanted to use the scenarios we didn't have time to do - to show the level of energy that's created when we discuss our dreams. 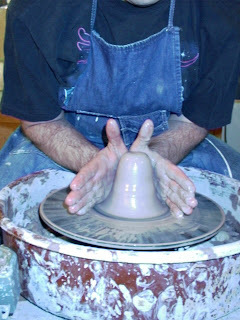 One question I was asked in Dubai was whether I supported job sculpting. And of course, I do. The approach was first described by Timothy Butler and James Waldroop in the Harvard Business Review. "Strong skills don’t always reflect or lead to job satisfaction. Many professionals, particularly the leagues of 20- and 30-somethings streaming out of today’s MBA programs, are so well educated and achievement oriented that they could succeed in virtually any job. But will they stay? The answer is, only if the job matches their deeply embedded life interests. These interests are not hobbies – opera, skiing, and so forth – nor are they topical enthusiasms, such as Chinese history, the stock market, or oceanography. Instead, deeply embedded life interests are long-held, emotionally driven passions, intricately entwined with personality and thus born of an indeterminate mix of nature and nurture. Deeply embedded life interests do not determine what people are good at – they drive what kinds of activities make them happy. At work, that happiness often translates into commitment. It keeps people engaged, and it keeps them from quitting." The only organisation I've been connected with that uses this approach to any depth is Microsoft. There, they seem to be as keen to build a role around an individual, as they do, to fit someone to a particular need. But it strikes me as a common sense, intuitively right approach for any organisation that's serious about its talent / managing people for human capital / truly believes that 'people are its most important asset'. You wouldn't buy a piece of machinery and then leave its most important functionality turned off, would you? (Actually, thinking about it, I wonder if most people's use of their mobile phones or TV recorders is a good analogy for the way most organisations manage their people?). However, time has moved on since Butler's and Waldroop's article was published, and I wonder if there is a need for something more - perhaps organisation sculpting? Building a whole organisation around the needs of its people, rather than simply its customers? We looked at moving in this direction when I was at Ernst & Young. We wanted to ensure we were really operating as an employer of choice, and this meant providing better development and more interesting roles than our competitors could do. We couldn't do this by courses or by bolting experiences onto the side of someone's job. We could only do it by actually changing what they did. We understood that the worst parts of someone's role was working on types of projects or types of clients they didn't enjoy or didn't develop in. So we moved away from these types of clients and projects to give people the best experience we could. In a sense, we built the organisation around what what we needed to do to get the best talent, rather than building it to fit a particular external need. But I think there's much more organisations could do to develop this approach. Anyone know of any more examples? Management Trainees are offered competitive pay packages plus bonuses, liberal perks and end service benefits. Management Trainees are imparted with World Class Training in Banking and Management to groom them as professional bankers. After first 3 years of service promoted to next higher grade. Stars:Managers who deliver consistently high performance and demonstrate high potential to take on significant leadership roles in the organization. They clearly demonstrate EBG’s leadership capacities – Strategic Thinking, Business Acumen, Interpersonal Sensitivity, Team Leadership and Self Management. Experts: Managers with high degree of expertise in respective business or support areas (that is not easily replaceable) and who deploy that expertise consistently to deliver strategic value to the organization. They definitely demonstrate a high degree of innovation, initiative and passion. difference to the organization at the strategic level. otherwise can become a liability to the organization. managed based on their aspirations. An upper quartile salary: The “Stars” and “Experts” need to be pegged at the upper quartile (above 75th percentile of the market). Higher performance bonus: The performance bonus for “Stars” and “Experts” need to be significantly higher than the rest – 150% to 200% of the Target Bonus. Higher long-term incentive: The long term incentives for “Stars” and “Experts” must be granted at the “high” to “maximum” levels. Unit Heads to have one-on-one career discussions at least once in six months. HR to have development discussions at least once a year resulting in a development plan. Do what ever is possible to retain talent in the event of resignation. What impressed me most about ENBD however, in a follow-up meeting with Husam Al Sayed, was the company’s very genuine care and support for its staff. From National Bank of Abu Dhabi, Tim Knight talked about the difficulties banks have in both recruiting and retaining talent. It’s not all about cash, but you do need to get the cash right too. I had a great trip to Dubai and Abu Dhabi, I enjoyed the conference there and even more so, the meetings I had with a number of senior HR people, in banking and other sectors. The UAE is a hugely dynamic place, and that presents HR practitioners and their organisations there, with a war for talent that in many ways is just as challenging as that in China. It’s all about oil. Well I didn’t even get to meet anyone from this sector – banking, construction and other industries are clearly thriving too. Everybody’s rich. The Emirates are clearly very prosperous, but there is a huge amount of poverty there as well – and this is clearly on show around most building works. The GCC customer ‘hates us’. I’m not too sure what Rehman really meant by this but I found a very high degree of respect between all the cultures present and was very pleasantly treated by all the locals and expats that I met. A few people did refer to some discrimination though. Women don’t matter. Women are an increasingly important customer and source of employment (see the Economist’s recent article on this). The markets are entirely Arabic. As well as locals, there are a large number of Arab expats from Egypt, Lebanon, Yemen and elsewhere, but also Asians from the Philippines and the Indian sub-continent, and of course, Europeans, Americans and Australians. There is, however, an interesting divide between locals who control the bulk of the wealth and resources, and expats who are clearly ‘hired help’. I guess this is often the case, it just seems more so in the UAE – perhaps because expats make up 99% of employees in the private sector. Rehman provides the attached slide to demonstrate the benefits of both employment groups. Because of the need to retain this balance, and at least in banking, where due to a requirement to increase the percentage of the workforce that consists of Emirate citizens by 4% per year, the recruitment of nationals is a very major focus, these individuals need to be managed as a separate talent group. Meeting targets for nationalising the workforce is a particular challenge given that the local education system are still not providing the quality of local employees that businesses require (I’ve previously posted on this problem in China too). However, I think this is less of an issue in the UAE than elsewhere in the GCC, and certainly seems to be a minor concern in Dubai where there are a couple of excellent academic institutions as well as other major investments in learning such as Dubai's Knowledge Village. Certainly, the nationals I met at the conference and in my business meetings were all extremely knowledgeable and professional (the questions speakers were asked during the conference I was chairing were some of the sharpest I’ve heard at conferences recently). However, in general, and as found elsewhere, forced positive discrimination seems to have failed to work successfully. So organisations end up arranging for their expat workers to be employed by other organisations, taking them off their official workforce and therefore reducing the target for the employment of nationals that they’ve been set. Others put nationals on the payroll who they wouldn’t otherwise employ, and expect little from them in the way of productivity or contribution. This situation has led to a decrease in trust and the creation of negative stereotypes of UAE nationals. "As much as 10 per cent UAE nationals resign their jobs per annum due to social and cultural factors because low-trust is an impediment to employment for UAE nationals. This is in addition to gender inequality in terms of position and salary. Nepotism, or what is called locally as wasta, also prevails in the workforce". Al Ali suggests that trust can be redeveloped by “treating UAE national employees fairly, justly and consistently, and their participation in decision-making, acting on their creative suggestions, giving them feedback on performance, empowerment and recognition”. "To address gender inequality, Al Ali said policies and legislation should be enacted to ensure the representation and participation of UAE women in management positions. The labour law, he said, prohibits gender-based discrimination in terms of salary packages and career development opportunities. "However, this must be monitored to ensure that organisations adhere to them in practice," said Al Ali. With regard to nepotism, Al Ali suggested encouraging the use of systematic criteria in employee selection such as psychometric, learning and aptitude test, and establishing an arbitration commission with the powers to investigate and manage complaints of nepotism, including demanding evidence of transparent recruitment and promotion practices from all employers. At the conference, Hani Hirzallah from Barclays presented their approach to emiritisation. Within banking, there are 60 banks employing 30,000 people of which just 5,000 are UAE nationals. So Barclays can keep track of these people, and have a good understanding of their performance and likely commitment if they apply. I thought this was a great approach, although I wondered, if it would also provide a basis for a more proactive approach eg head farming. We also had a very interesting debate on remuneration. In general it seemed that employers do offer higher salaries to local employees in order to recruit and retain them, although there seemed to be a lot of discomfort in doing this and worry about the tension this creates. I was slightly surprised by this, as different salary scales are a common aspect of reward in locations with a heavy expat presence, although more commonly favouring the expat rather than the local as seemed to be the case here. For example, when I was an HRD in Russia, our salaries for expats were approximately double that of Russian locals, with Russian returnees, employees of mixed parentage etc being paid somewhere between the two. I think this division was fairly widely understood and if not liked by our Russian staff was accepted as something that needed to be done. And I was also surprised at the lack of agreement between participants about whether this was something they needed to do – which indicates an immature reward structure in the UAE. The prevailing thinking that local salaries need to be higher than for expats also seems at odds with local reward surveys. For example, Mercer’s report, Managing ther UAE's HR Environment, finds variations from a 5% difference in favour of expatriate senior managers to as much as 80% difference in favour of expatriate professionals. Expat workers are paid a premium for their experience, to cover their relocation costs and due to the high cost of rented accommodation and hotels in Dubai. I think one reason for this disparity is that there is a need to distinguish between different types of expat and the different roles they work in. As McKinsey’s article points out, the UAE has a high proportion of expats of workers from countries such as Egypt, India and the Philippines who work at wage levels much lower than UAE nationals would accept, often in sectors that nationals have traditionally shunned, such as construction and manufacturing. Other expats work in professional roles doing work there are not enough skilled nationals to fulfil. Mercer’s report also notes that “another discernable trend in response to salary inflation is that companies are now focusing more strongly on the total rewards concept. Bonuses and performance-related pay now represent a higher proportion of the average reward package than previously”. I think many UAE employers are already responding to this requirement, and many are offering significantly reduced and very flexible working arrangements in order to make employment look attractive. But the key, as Al Ali notes must be to create a “commitment-based work culture, instead of relying heavily on monetary rewards and top-down mechanisms to try and combat job-hopping”. This is what real talent management’s about! 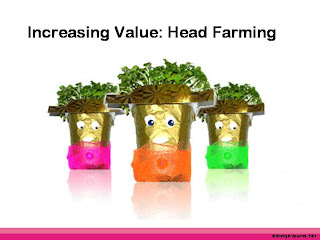 Another thing that came up in both Singapore and Dubai was head farming. I've already posted on this briefly, but develop on the idea here (it also explained further in my book, with a case study from Ernst & Young). Basically, instead of waiting for a particular vacancy to arise, and then needing to find a particular individual who might fit (as in traditional head hunting), search firms and employers can work out who it is they want, establish relationships with these people, and then wait for the right opportunity (based upon particular business needs - but also the career needs of the individuals concerned) for the person to join the organisation. The approach is about moving from a reactive to a proactive approach that will provide the very best talent rather than simply the pretty good (the very best is unlikely to be available in the market at the time a particular vacancy occurs). It's also a good example of seeing people as providers of human capital, rather than as human resources, and is very much a modern equivalent of the original movement in pre-history from hunting to farming, which brought in major changes in the way societies were able to work. This is about a major change in the way that businesses work too. "Executive search firm Heidrick & Struggles is developing a private, invitation-only social networking site for high-level job candidates. The company hopes the ability to communicate electronically and share videos, photos and other media with candidates all around the world will speed up the recruitment process and enhance its traditional face-to-face business. "The original impetus for us was that what we are, at heart, a relationship business," said Tashi Lassalle, vice president of strategic development at Heidrick & Struggles. "We're seeing more and more ways that individuals connect with one another, and we wanted to be on the front foot of that, rather than on the back foot." "For us, this isn't about a numbers game any more than it is when we do our classic executive search," Lassalle said. "What it really is about is handpicking individuals in the markets we feel have most relevance to our clients, and then taking that exclusivity and bringing it online." Users on the site are anonymous to each other but communicate directly and openly with their personal Heidrick & Struggles recruiters. Users can, however, converse with each other in the site's discussion forums, and if they choose to do so, they can mutually disclose their identities, Lassalle said. "Something we've tried very hard to balance is the privacy element because, of course, in executive search you're talking to people who wouldn't normally talk to people, and you're basically working on jobs that wouldn't be advertised," she said. "So we want to try to keep that discretion, that really personal part, but we also know that individuals like to connect with one another." That said, Heidrick & Struggles recognizes the concept of a private social networking site for executives is new and might take some getting used to, Lassalle said. "It's like [Alexander] Graham Bell inventing the telephone and nobody being quite sure what it was going to be used for," she said. "We're still in the exploring phase. It's about what the [candidate] community chooses to do, and we'll respond to that and accommodate it. At this moment it's very much a supplement to our core business, which is brick-and-mortar and face-to-face." The final area of my talent management workshop I have been asked to explain more fully is employer branding. From a strategic HCM / talent management perspective, this is about two things: firstly, differentiating the organisation from others, and secondly, communicating this differentiation. It's not about the colour of the stationery (although purple can apparently help). "They all say the same things about themselves," said one graduate, "Perhaps they actually are all the same." I think organisations can do much more to clarify for themselves, and for their people, what sort of organisation they are. It's about getting an alignment between strategy, people and HR practices. "It's the ability to express to current and potential employees what makes the organization unique. Companies with highly engaged employees articulate their values and attributes through 'signature experiences'--visible, distinctive elements of the work environment that send powerful messages about the organization's aspirations and about the skills, stamina, and commitment employees will need in order to succeed there." These practices can be placed at the centre of the organisation's employer brand. "If the organization were represented by a single person, what type of person would that be? (It often helps to start with a few iconic examples, like Marks & Spencer, Nike or McDonalds to warm people up.) Once people have entered the spirit of this exercise you can also ask a series of more specific questions like: What kind of car would they drive? What kind of paper would they read? What kind of pets would they keep? etc." It is through working with your executive teams on exercises like these that will ensure that you are able to offer clear differences between your and other organisations, and that you can attract the talent your organisation wants. I think translating this differentiation into your employer brand is then comparatively easy. A good example is Yahoo's internal branding as a 'Life Engine'. This was developed as an employer brand at the same time as becoming a focus for corporate branding. 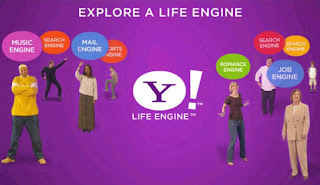 To external users, Life Engine suggests all the ways in which Yahoo! functions as a universal guide. To employees, it encompasses this meaning, plus all the ways in which working at Yahoo! 'powers' all other facets of their lives, and provide a rationale for the provision of life insurance, free lattes etc. In addition, employees are encouraged to tailor the proposition to their own needs. So upon the brand's rollout, employees were sent a customisable license plate frame that read: 'Yahoo! : My ______ Engine'. Employees completed this to refer to what they personally got from their job and career at Yahoo! (for example, HRD Libby Sartain's plate said: 'Yahoo! My FunPlace2Work Engine'). Another talent management references I was asked to provide a link to was UPS’ definition of their van drivers as ‘talent’. This provides an interesting contrast from most organisations' automatic view of their senior leaders or high potentials as talent. I’ve seen this credited to Deloitte, and the case study was included in their report, It's 2008: Do you Know where your Talent is? but I think the original reference came in Peter Cappelli’s The New Deal at Work and was certainly included in his Harvard Business Review article, A Market Driven Approach to Retaining Talent). In brief, UPS identified their drivers as talent because these were the people with the main customer contact and were therefore able to resolve problems and take orders etc. The company suffered appalling turnover of its drivers which was a problem because as well as being hard to replace, the important customer relationships were disrupted. When it tried to understand why, UPS found out that the drivers loved their jobs driving, but hated the loading and unloading at either end of their shifts. They introduced a new role of loader, and freed their drivers from this responsibility. The result was that turnover of their drivers was dramatically reduced. Turnover of the loaders was sky-but, but this turnover didn’t matter so much, and these individuals could easily be replaced. It's a great case study of non-management talent, and of innovative job design: building jobs around talent, not just business needs. One of my talent management references I was asked to explain more fully, or at least provide a link to, was John Boudreau’s example of talent at Disney parks being the road sweepers, not the Mickey Mouses. (Chris Parkinson from Amex also talked about a similar example at the CIPD's talent management conference recently). This reference comes from a number of papers and most recently, Boudreau’s and Pete Ramstad’s book, Beyond HR (see my previous post on this). Basically, Boudreau’s idea that talent should be defined in relation to those groups which are not just most important, but are also pivotal to business strategy - and therefore, in which a certain investment will have the greatest impact. So, at Disney, the obvious candidate for being seen as talent would be Mickey Mouse. 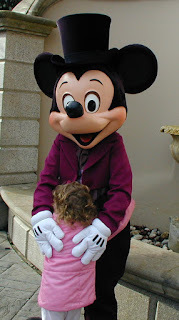 And indeed, the person in the Mickey costume is one of the most important. But Disney parks are all about providing a happy experience, and the biggest constraint on this is actually waiting in line - where people are not going to be happy. And if you ask, 'which talent at Disney would make the biggest different to the waiting in-line constraint? ', it's not Mickey Mouse, or the other characters, its the road sweepers - because they're at the place where your waiting in line is a problem. In addition, the difference in performance between the highest and lowest performing Mickey Mouses isn’t that great. The variability between people employed as road sweepers is much greater. So an investment in road sweepers, raising the weaker performers closer to the level of performance of the better performers, will have a greater impact than investment in the Mice. It’s an interesting example, but I wouldn’t agree that the approach applies across the board. I don’t know how I’d improve the performance of a Mickey Mouse. But in many organisations, you can still gain more improvement from raising the performance of all of your most important people than you can from making your lower performing less important people more like your best. Still, and despite my my objections to decision science, HC Bridge etc, this is still some of the best analysis on talent management that’s around. 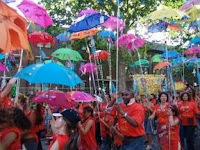 The new carnival is available on Ann Bares' blog, Compensation_Force. As well as more excellent posts, I do recommend this blog very highly - it's one of my main stopping off points when I review my feeds in Google Reader. As many of you will know, I don't pitch myself as a reward consultant, but I do dabble in this area, and use Compensation Force's regular updates to keep me on the straight and narrow. One more of the things I discussed in my Singapore workshops was the need for HR to familiarise itself with research evidence showing a link between people management and business results. I generally categorise research as focusing on overall or specific HR processes, or on particular ‘best practices’. The overall category includes the CIPD’s Future of Work research led by David Guest which has found that profits per employee increase with the number of people management practices in place. Other academic and consultancy research has demonstrated similar links between individual HR processes. This includes Watson Wyatt’s Human Capital Index (HCI) that quantifies a company’s people management policies and practices and has been shown to link to, and inform, the company’s market value. Watson Wyatt’s 1999 study used multiple regression analysis on data from 400 US and Canada based organisations to identify 30 key people management practices that were associated with a 30 per cent increase in market value. In 2000, similar research was conducted on 250 companies from sixteen countries across Europe and this found 19 key HR practices to be associated with a 26 per cent increase in market value. These studies only demonstrated correlation but in 2001, Watson Wyatt repeated their study with 500 North American companies and compared two different correlations for 51 companies that had participated in the 1999 and 2001 surveys. this showed that HR practices have a stronger impact on business performance than the other way around. Watson Wyatt’s 2001 research identified forty three specific people management practices in five dimensions which in total were associated with a 47 per cent increase in market value. The practices were not just better or better funded programs but completely different practices from those used by lower performing organisations. The other category of research focuses on specific, universal perspective that assumes there is one best way of doing things, one set of practices and one way of performing them that if always followed will mean that any organisation can improve its performance. Enacts compensation and performance management policies that attract, retain and motivate high-performance employees. HPWS firms employ roughly double the number of HR professionals per employee as other firms. In addition, their HR professionals are more likely to be rated positively in both their traditional and strategic roles. HPWS firms are also more likely to have developed a comprehensive measurement system for communicating nonfinancial information to employees. HPWS firms are also likely to exhibit dramatically higher performance. By correlating the High Performance Index with company’s financial performance, Huselid has found that if a company increases its Index score by one standard deviation (about fourteen per cent better) revenue is increased by to up to $42,000 per employee per year. 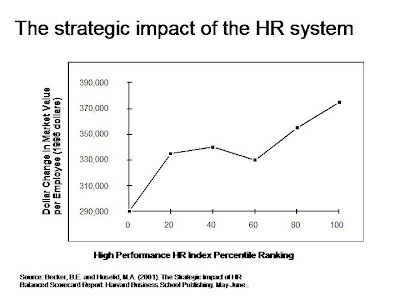 The graph from Huselid and Becker’s 1996 index demonstrates the extent to which a firm’s HR system is consistent with Huselid’s principles of a HPWS plotted against market value per employee. Two things are very noticeable. Firstly, the financial returns from HPWS are considerable. Secondly, the returns from investment are not linear – there appear to be three distinct phases of experience with improvements at both the low and the high end of the distribution giving rise to benefits that are nearly four times as great as changes within the larger middle ground of the distribution. Huselid believes that the area of the graph between the lowest and the twentieth percentile ranking marks companies with poor people management practices. Improving these practices provides a quick and significant return so that ‘the HRM system creates value simply by getting out of the way’. In the broad, middle range, from the twentieth to the sixtieth percentile, companies have already developed relatively good people management practices. Simply getting them even better has little marginal impact on firm performance. The approach does no damage but does not yet indicate a strategic approach to people management. Finally, above the sixtieth percentile the payoffs begin to rise as quickly as it did below the twentieth percentile, but for different reasons. In this range, companies have comprehensive HR systems that are aligned with their company strategy and are internally consistent. It is in this third group that Huselid believes HR begins to emerge as a strategic asset (and in which I would argue, companies are treating their people as providers of human capital). You can find more details and a critique of the various research in my book and I have also posted recently on more recent research on links between people management and business benefits. One of the questions I was asked in Singapore but didn’t get time to respond to in the workshop itself was how to do strategic work force planning. This is a core component of human capital management, helping to set the strategic direction for investment in human capital. It also concerns a key form of talent management (see variety 3 in my previous post). And it provides the basis for effective, future-proofed succession strategy. Most importantly, it provides the basis for sustainable business strategy – increasingly (especially in China / Asia), talent is the key constraint in developing business strategy. Once this was financial capital – if companies could get monetary investment they could use it to trade and grow. Now, and despite the credit crunch, the key requirement for growth is people / talent and the human capital they provide (which is why people rather than finance, and the HR department rather than the Finance department should be seen as an organisation’s most important resource). Effective work force planning helps ensure an organisation understands and has planned to buy / build the talent it requires to grow (or at least stay in business). Strategic as opposed to operational / tactical workforce planning focuses on talent groups rather than the whole workforce (if talent has been defined appropriately, this will include the people who will have the greatest net long-term impact on the organisation, and will therefore also be the people that the organisation needs to ensure it can provide enough of in the future). Forecasting business / talent scenarios. Looking at external macro trends (including PEST – political, economic, social and technological – factors), reviewing the business strategy and the consequences this may have for talent. Note this analysis should include a view to what business advantage can be provided by talent (creating value) as well as how talent can support more obvious business requirements (adding value). Note also that given the pace of change in the business environment, this analysis is best conducted by focussing on the future state rather than looking at incremental improvements from the current position. Validating talent groups. Checking on what the previous analysis means for how talent and talent management should be defined. Forecasting talent changes. Predicting how the defined groups of talent are likely to be impacted by the different business / talent scenarios and more micro-level changes, for example demographic changes in these groups, recruitment, retention and promotion rates and the way these are likely to be affected by changes in the business, etc. Identifying the gap between supply and demand. Looking at where there are likely to be major challenges in providing the talent that is required. Developing appropriate strategies and measures. Identifying and tracking activities to close the gap. My normal perspective on technology, despite the development of integrated talent management / HCM systems is that organisations are best of developing sound processes for talent management before they look at automating these. However, work force planning is one talent process that is very difficult to do well without using appropriate technological support. Organisations that want to develop sound capability in strategic work force planning may want to talk to some of the key vendors in this area, for example Aruspex and InfoHRM. Neither firm follow quite the process I have outlined above, but they do have fairly sophisticated and strategic approaches, and good system support. However, regardless of the sophistication of the process or the capability of the technology, as always, it is still the people factor that is key in effective implementation of a strategic work force planning approach. Design an organisation structure that allows you to ‘partner’ with the business. Firstly, just to note that talent management is currently defined as many different things. This finding isn’t new. Supporting this, when Bersin asked organisations how they define talent management, they came up with a very wide selection of responses: 80% said as leadership development, 78% as recruiting, 76% as training and development, 74% as performance management, 72% as succession planning, 67% as management training, 58% as workforce planning and 42% as compensation. The first approach is progressive HR (you could also call it human capital management) and is based upon the belief that talent or human capital is a critical enabler to business success. At the rebranded end of the spectrum, this form of ‘talent management’ is really just good old traditional HR, but has been renamed talent management to make it (and the HR function) sound a bit more valuable and strategic. At the other, differentiated, end of the spectrum, this form of ‘talent management’ puts more investment into all people management activities, ensuring the development of employees’ engagement and capability, in order to build human capital and deliver business results. The second approach is HR using e-HR systems. At the basic end of the spectrum, a basic, transactional, functional HR IT system which calls itself a talent management system is used to support one or more processes, most commonly recruitment, which is then renamed talent management. At the advanced end of the spectrum, integrated talent or human capital management systems are used to provide better understanding of talent / people management data. The assumption here is that all people provide talent, some of which is more valuable than others, and that an integrated IT system is required to identify the opportunities this talent provides. The third approach is matching supply and demand of talent. The basic form of this approach includes short-term resource planning in which particular needs are identified and the relevant types of numbers of required talent is provided, through the recruitment of new staff or contingent workers, or the development or deployment of existing employees. More advanced approaches focus on longer-term workforce planning and succession strategy, identifying potential future-state scenarios and planning internal and external actions (eg development of high potentials / relationships with potential employees eg head farming) to close possible talent gaps. Fourthly, talent management can refer to recruitment / resourcing of talent. At a basic level, this can be a simple rebranding of recruitment activities. I suspect this is the most popular form of talent management in organisations, and most ‘talent managers’ I have met are in fact recruiters. However, a more advanced take on this applies supply chain management principles to resourcing to ensure an appropriate ‘flow’ of people / talent into and through the organisation. Talent in this perspective is usually defined in reference to key roles, eg Kaplan and Norton’s strategic job families or Boudreau and Ramstad’s pivotal roles (those in which a certain investment can provide the greatest return). Fifthly, talent management can also be defined in the context of development. Again, at a basic level, this can refer to a simple rebranding of learning, and particularly leadership development activities. At a more advanced level, it can refer to a major focus on leveraging peoples’ strengths or on unleashing their potential. Talent here usually refers to key people rather than to key roles, and often to the leadership team or potential future leaders. And finally, talent management can refer to employee engagement and retention. A basic approach can refer to a set of communication activities designed to engage employees. A more advanced form of this type of talent management focuses on management of the individual deal agreed with each person identified as talent to ensure that their own individual engagement drivers / employee value proposition is implemented to the individual’s satisfaction. Talent management here is often about getting key people into key roles, or crucible roles. The basic forms of these six approaches probably don’t deserve the title talent management, but the six more advanced forms certainly do, and each can be effective in different organisations depending upon their contexts and business strategies. The key for ensuring that talent management is effective is to identify which one or more of these approaches will be the most appropriate for you. So, I’m finally trying to catch up on my previous two weeks away (then I’ll have to catch up on what I’m doing now!). Singapore first. I love doing workshops like this – I love talking about talent management, I love the different experiences and perspectives you get in a group created from people from six countries, and I particularly love putting all of this together in South East Asia. I’ve already posted on the war for talent in China, and the Chinese case studies we were using for the workshop, but this war is critical throughout the rest of Asia as well. It faces the same challenges we do in the rest of the world - for example an ageing workforce (see slide), but does so in spades. This was highlighted recently in StepStone's 2008 Total Talent survey, researched and prepared by the Economist Intelligence Unit. 55% of companies stated that candidates in Asia lacked appropriate skills, compared with 47% who claimed the same for Europe. Employee perceptions that pay and benefits could be better elsewhere. Like China, this is a market in which the demand for talented individuals far outweighs the supply. “Many companies will have to prepare themselves for a huge battle for talent, one that is even tougher than in Europe and North America. 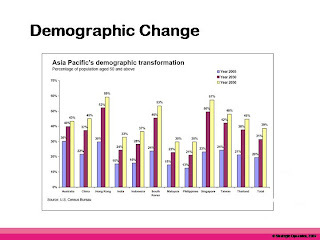 Asia is seen as the engine for growth but without the right people, businesses will see their engine splutter and may not get out of first gear. Given the extent of this challenge, companies in China and Asia may need to look at how they create as well as add value for their businesses through talent management. For example, at the workshop, we considered one company operating in a traditional sector and one suggestion was that they needed to focus more on more innovative business areas, possibly through partnerships with western organizations, in order to attract the sort of talent they required to grow the more mature part of their business.